German victories in the first three years of the war resulted the capture of large numbers of enemy vehicles. These were pressed into service. The problems with this was the lack of spare parts and eventual obsolescence. Due to the small numbers involved, it was not worth the setting up of spare parts manufacture, and as a result most of these vehicles were lost due to maintenance problems. French and Italian armoured vehicles could be relatively easily maintained because those countries (which Germany occupied) had large stocks of spares, but armoured vehicles captured from other adversaries presented problems. 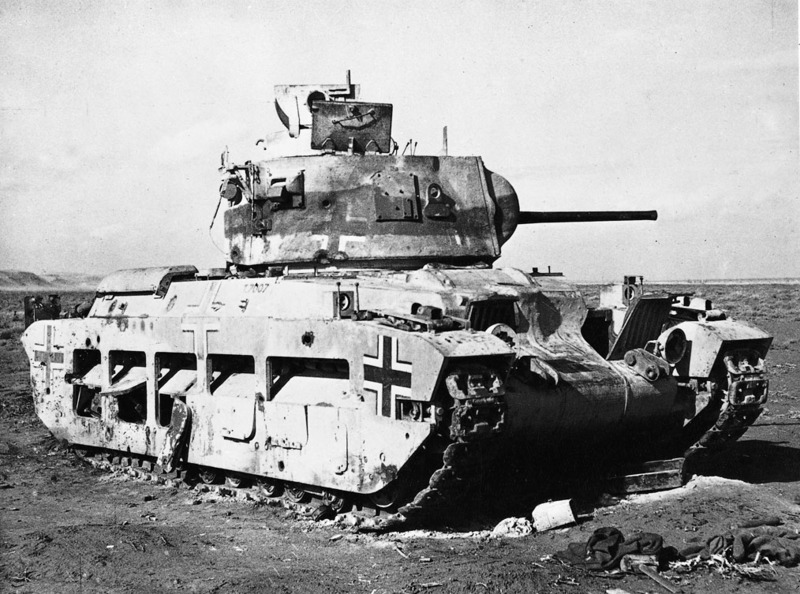 In North Africa, the Germans captured a large number of British armoured vehicles. They were used by the Afrika Korps until they were lost. One such vehicle was the Matilda, which in German use was designated Infanterie Panzerkampfwagen Mk II 748(e). Ironically the Germans only lost their Matildas through lack of maintenance, as no British tank then in North Africa was capable of knocking it out. In Europe, a number of captured Matildas were stripped of their turrets and converted to self-propelled guns by mounting the 50mm KwK L/42 gun. These vehicles had been captured by the Germans in 1940. However, they were only used by garrison forces stationed near the stockpiled dumps.